“A word is an image and writing is painting,” said Niels Shoe Muelman, a visual artist who revolutionized and first coined the term calligraffiti in 2007. Calligraffiti is an art that combines calligraphy, typography and graffiti. It merges two opposing styles of art, one known for its precision and traditionalism with an unbridled form of visual expression to create an urban abstract approach to lettering art. As a student of calligraphy, I am always exploring how calligraphy can be incorporated in different art forms. 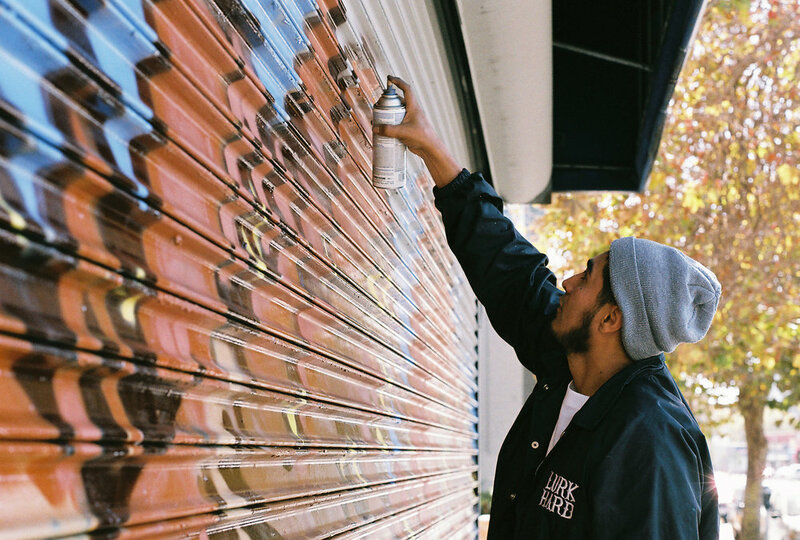 So, I recently reached out to a renowned California-based visual and calligraffiti artist, Gabriel Garay. His art is a combination of abstract expressionism and at times calligraphy. 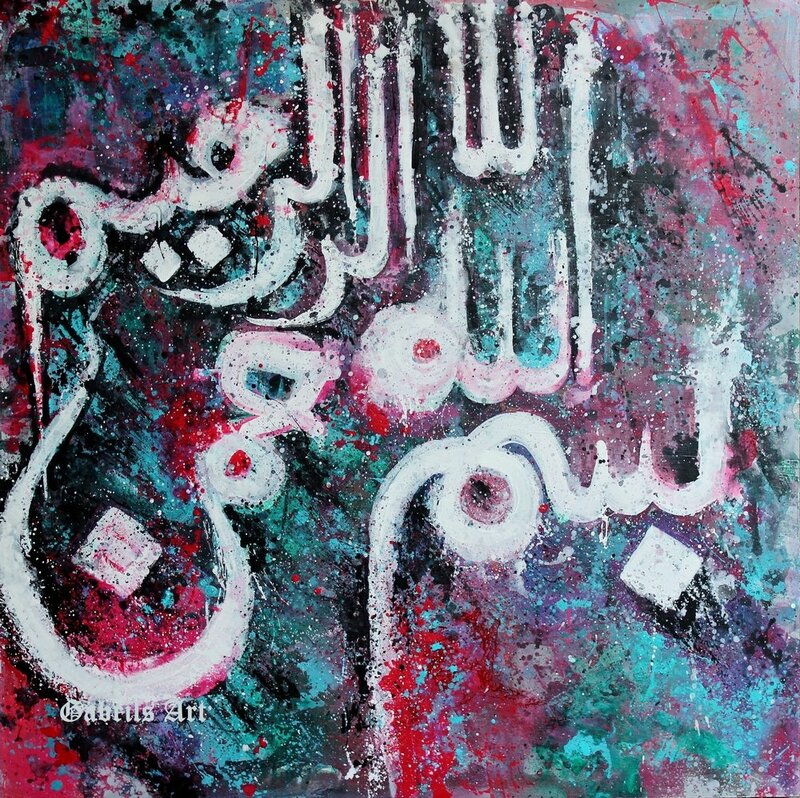 After Gabriel converted to Islam in 2002, he started integrating Islamic arts into his paintings. As a professional artist of over 10 years, Gabriel’s work has been featured in publications and he has been invited to speak at institutions and organizations worldwide. 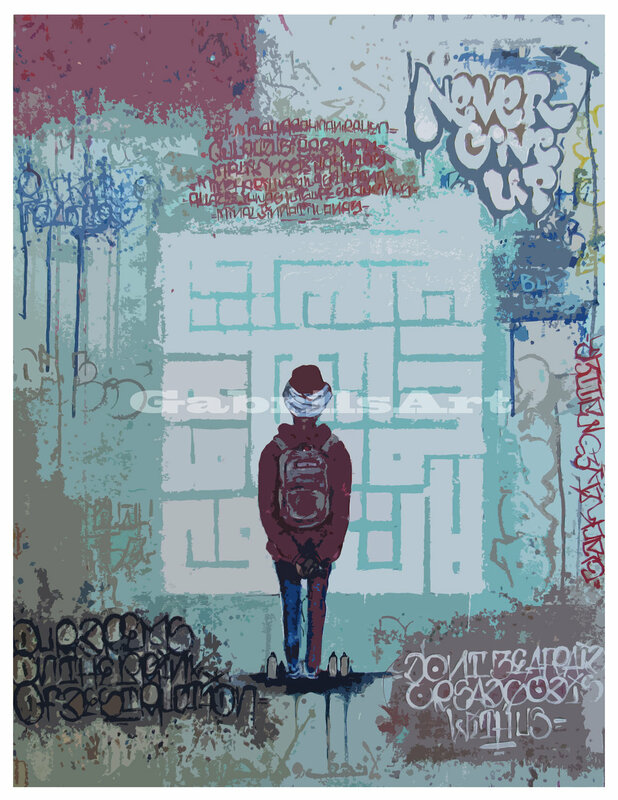 What inspired you to integrate Arabic calligraphy with graffiti art? The idea came to me during a dark period in my life. I was incarcerated and learning about Islam. I have been doing graffiti since my teens, so as I came across Islamic art and Islamic Calligraphy it really captivated me. I looked at how the master calligraphers played with the structure of the letters, stretching, and bending the forms. I automatically saw the correlation with what I was, or should I say, what we were, doing as graffiti artist with the latin script. Throughout my studies, which are not as extensive as I would like I felt it an obligation to blend the two, or at least attempt to. I’m a Muslim, but a western one at that. But, What does that mean? I believe that it means my culture holds as much merit in the sight of Allah, as say south asian culture, but understanding the limitations of culture in the eyes of Islamic law is something I feel [all Muslims] are trying to figure out. I like to let the art reflect my reality in that I’m a graffiti Artist – I just happened to become a Muslim. I use acrylic and spray paint. I haven’t gotten into oils yet. I also use natural elements in my process. I draw ideas from my graffiti experience. It’s always a challenge coming up with good color schemes. The process varies. I haven’t had time to paint in a while and working a 9-to-5 leaves no time for painting. But when I do paint, I’ll just stare at the canvas and let the thoughts come together in my mind. I can’t really describe the process, but those are somethings that go into it. My favorite artist to name a few: Salvador Dali, Joan Miro, Diego Rivera, David Alfaro Siqueiros, Keith Harring, Barry McGee, Jared Costa and eL Seed. Work towards it and follow the masters like eL Seed, Karim Jabbari and the likes. I’m not a professional calligrapher. I’m a professional graffiti artist to be honest. I’m always getting thrown into the calligraphy category which is cool as I have been experimenting with it. But, I’m far from a master.